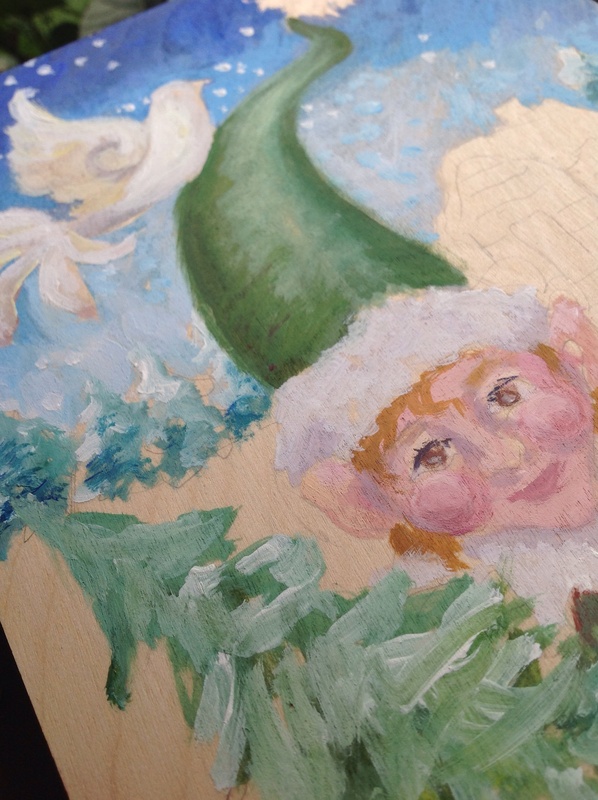 I’m thrilled to offer another sneak peek at one of my Christmas elves for the 2014 Christmas season. Each year I pick a new theme, I truly hope you like my little elves I chose for this year, if you have suggestions please let me know. This one is special because it has a sweet dove included in the composition.